Pearson's is a family owned premier luggage and gift store with a full service travel agency inside. Founded in 1979 by established fine luggage retail entrepreneur Gerald T. Pearson, Pearson’s Travel World has consistently provided premium, top-tier excursion experiences to the most astute of the southern United States traveling community. Continuing to evolve and adapt to the ever-changing traveling industry throughout the years, Pearson’s became a VIRTUOSO® Travel consortium agency in 1997 and now boasts a team of travel professionals that sets the example for impeccable travel agent service. We continue to succeed because the most discerning traveler expects a hands-on attention to travel detail that a computer alone cannot deliver. We are people taking care of our people. 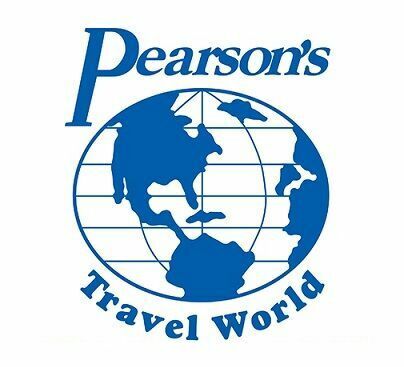 We are Pearson’s Travel World. "This is absolutely the best place in Baton Rouge to find Vera Bradley!! They're knowledgeable and if they don't have a piece in, they'll try to order it for you. They also have luggage and other stuff. I found out today that they have some of the Christmas stuff that Dillards and JcPenny's carry around Christmas time (you know, the random gifts like money banks and nail manicure sets) already. Way cool place." "Everything that you need for travel. Very knowledgeable staff. Great gifts here too!" "Always a fantastic experience working with Pearson's Luggage and Travel!" "I booked my trip to Jamaica with Pearson's and had such a good experience. My travel agent was very knowledgeable and helpful. Also, the staff were always friendly."